New Rhinos Driector of Ticket Sales Joe Valenti sent me an e-mail yesterday to get the word out on their new season ticket referral promotion. 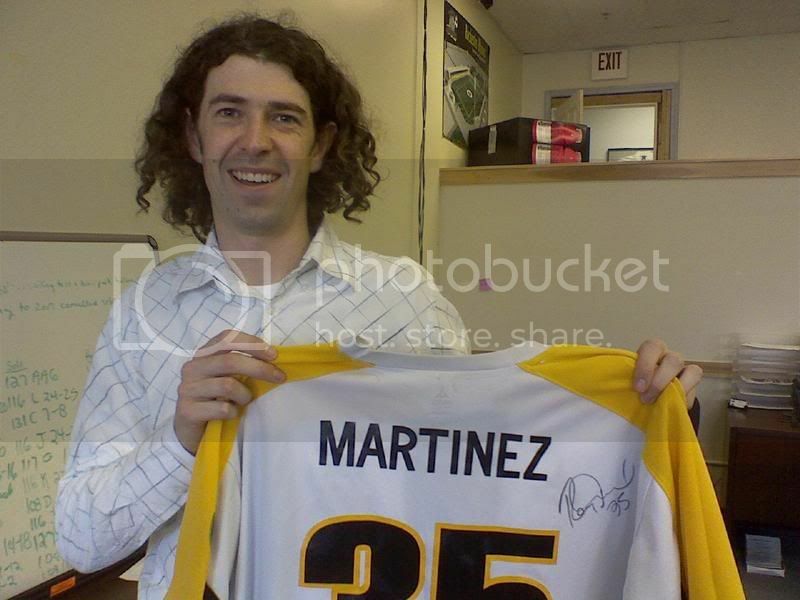 As long as supplies last, if you are a season ticket holder and you refer people that buy 2 or more new season tickets, you will get an autographed game worn 2007 Rhinos jersey, just like this lucky Rhinos fan who scored an autographed game worn Rey "Boom Boom" Martinez jersey. - Yesterday the Rhinos announced the Joe Valenti hiring and the fact that Matthew Ford is now the President and General Manager of the Rhinos. - The Rhinos also updated this week's training camp practice and game schedule.